I am beginning to think that Ohio State doesn’t care about making things easy for us. 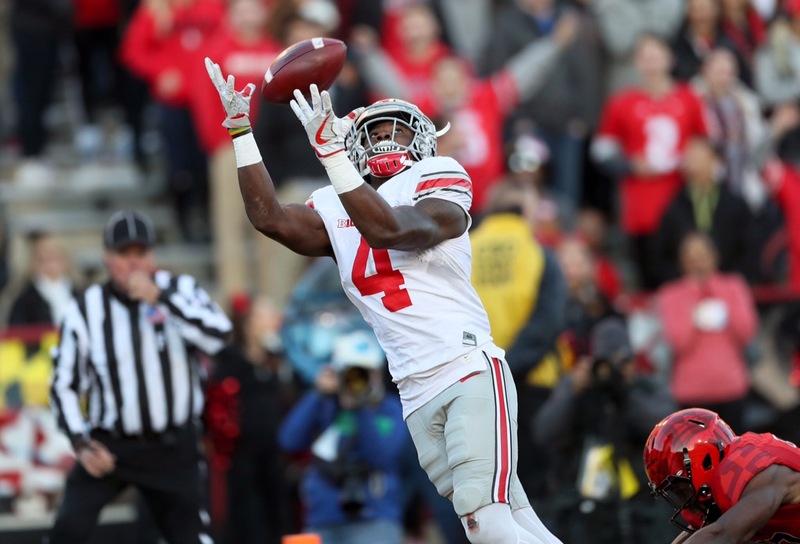 Curtis Samuel is the latest in a long line of Buckeyes who don’t fit into a single positional mold. I’m adding him as a receiver for the purpose of watching tape, because I see his biggest NFL contributions coming via the air, but I really see him as a man without a country. He strikes me as somewhere between Theo Riddick and Tavon Austin. Only 5’10”, Samuel relies on speed and quickness. He creates separation in the receiving game through short area quickness. If a defender can get contact before Samuel is into his route, most of his effectiveness is negated. He lined up a fair amount outside, as well as making plays out of the backfield (97 rushes for 771-8 and 74-865-9 through the air.) As a running back, he’s fast enough to get the outside and dangerous off jump cuts. He separates with speed on slants and even occasionally utilized double moves to get open deeper down the field. The downside of Samuel’s versatility is that he is not a perfect fit for either position. He is on the small side which leads to him going to the ground easier than you’d like, plus, his height is occasionally an issue especially on deeper throws. (Defenders are able to get above him and knock a pass away.) Samuel suffers from mental lapses such as concentration drops and intermittently leaving routes unfinished. His hands are decent, especially if he ultimately becomes a runner, but I’m not convinced he’s going to pick you up on a poorly thrown ball. Samuel seems likely to be a project, and his real value for fantasy will come through landing spot. He needs to be in a situation that can utilize a satellite back or someplace that will commit to creating plays designed to feature him (ala Tyreek Hill in KC.) There appear to be many variables with his future.